The animated film pays tribute to Chanie Wenjack, who died 50 years ago when he was walking home to the family he was taken from over 400 miles away. On October 22, 1966 near Kenora, Ontario, Chanie Wenjack died when he walking home to the family he was taken from over 400 miles away. Fifty years later, Tragically Hip frontman Gord Downie has taken Wenjack's story and turned it into the Secret Path project, which consists of a solo album, a graphic novel and an animated film. The intention for Downie — who went public with his diagnosis of terminal brain cancer in May — is to utilize his celebrity to draw attention to Wenjack's story and the legacy of residential schools. 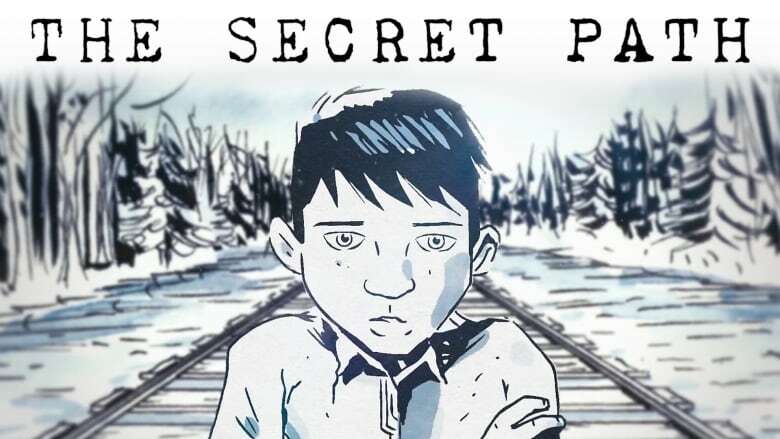 "Secret Path acknowledges a dark part of Canada's history — the long-suppressed mistreatment of Indigenous children and families by the residential school system — with the hope of starting our country on a road to reconciliation," the project's website states. Downie's music and award-winning cartoonist Jeff Lemire's illustrations also came together in an animated film that was broadcast by CBC in an hour-long commercial-free television special this past Sunday — you can still stream it here on CBC Arts. How can Chanie Wenjack's story make a difference? Immediately following The Secret Path broadcast, CBC live-streamed The Road to Reconciliation, a special one-hour panel conversation with CBC's Jesse Wente, filmmaker Tasha Hubbard, and National Centre for Truth and Reconciliation director Ry Moran, live from CBC's Glenn Gould Studio in Toronto. In an engaging discussion, these Indigenous leaders will reflect on how art can help us face the past and work together to change Canada's future. The panel can be streamed in Canada and worldwide at cbc.ca/secretpath. Read more about Secret Pathhere.